On Saturday, Mitch Harris became the first Naval Academy graduate since 1921 to play in a Major League Baseball game, according to the Baseball Hall of Fame and the academy itself. 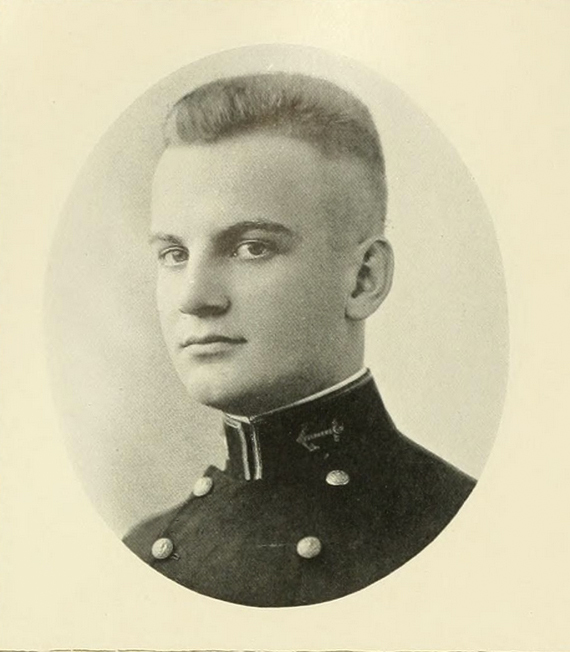 Many of the stories noting Harris’ achievement, or his initial call-up to the St. Louis Cardinals from the minors, gave a passing mention to his lone USNA predecessor: Nemo Gaines, who pitched in four games for the Washington Senators. Like Harris, Gaines pitched in relief. Unlike Harris, his time in the majors didn’t come after his time in active service: Gaines secured what amounted to extended leave to pitch in the big leagues, receiving permission to pitch for the Senators the summer after his graduation from Annapolis before beginning his Navy career. Nicknames in tow, Gaines made his pro debut on June 26, 1921, at the Polo Grounds against the New York Yankees (the first Yankee Stadium was built two years later). He faced four batters, allowing no runs or hits and walking one. Gaines didn’t pitch to Babe Ruth, who homered in the Yanks’ 9-1 win, but did pitch to Wally Pipp, who would come to know a thing or two about being a passing mention in baseball stories. He pitched in four more games for the Senators, all losses — the Cardinals’ 5-3 win over the Milwaukee Brewers on Saturday was the first MLB game ever to feature a Navy grad on the winning side. He finished with a perfect 0.00 earned run average in 4 2/3 innings of work, allowed five hits and two walks, and recorded one strikeout: Not bad for a summer job, but maybe not star-making numbers, unless you’re trying to sell his autograph. His leave complete, Gaines returned to service, retiring as a captain in 1946 after World War II service in Peru as a naval attache, according to a stellar 2009 piece on Mids-turned-pro athletes by Douglas Pils. He died in Virginia in 1979 at the age of 81 and rests in Arlington National Cemetery. His MLB legacy lives, even though he now has some big-league company. And more could be on the way — Navy junior Luke Gillingham, a lefty, leads top-tier college baseball with 110 strikeouts so far this season. He’s also 8-1 in 11 appearances: Many a winner, and but a few set-backs.